St Patrick's Day is just around the corner....or so Google tells me. I don't really pay much attention to St Patrick's Day and when it is to be honest. I usually only remember about it if the theme pops up in a nail art challenge or when brands bring out their St Patrick's Day goodies - like Uberchic. 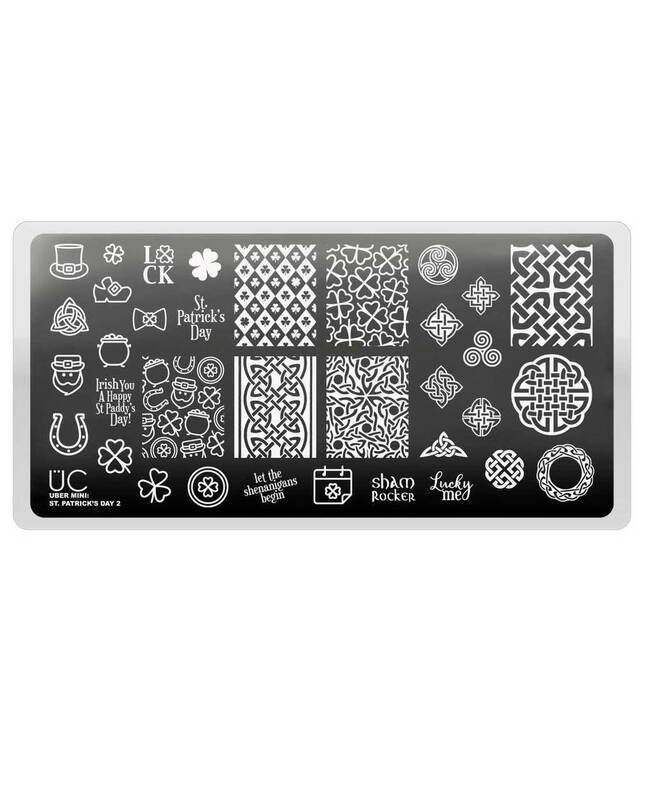 Uberchic have recently added their second St Patrick's Day mini stamping plate to their range. If you were interested in seeing my swatches and review of the first plate you can find that post here. 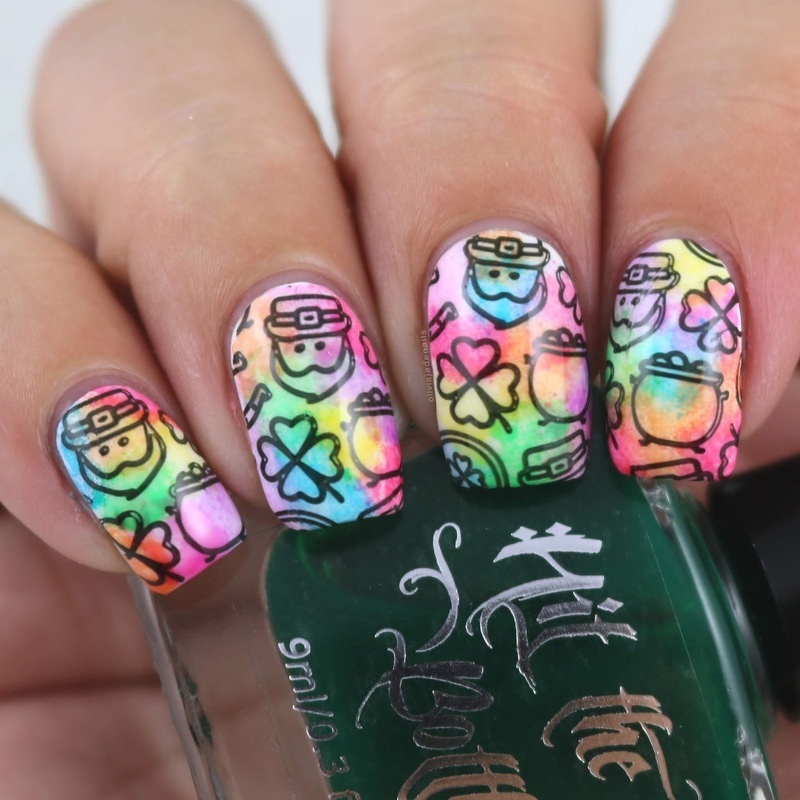 But for now, lets take a look at St Partick's Day 2 Mini Stamping Plate. As you all know I am such a sucker for full sized images but I thought I would mix it up a little with this mani. For my base I used OPI How Does Your Zen Garden Grow?, I stamped using Powder Perfect's Black Stamping Polish and then filled in the designs using Hit The Bottle Shamrocked. How cute is this plate for St Patrick's Day? I really like the full sized images. They are something that I will use. I am curious to see how others use some of the individual images on the right side of the plate. 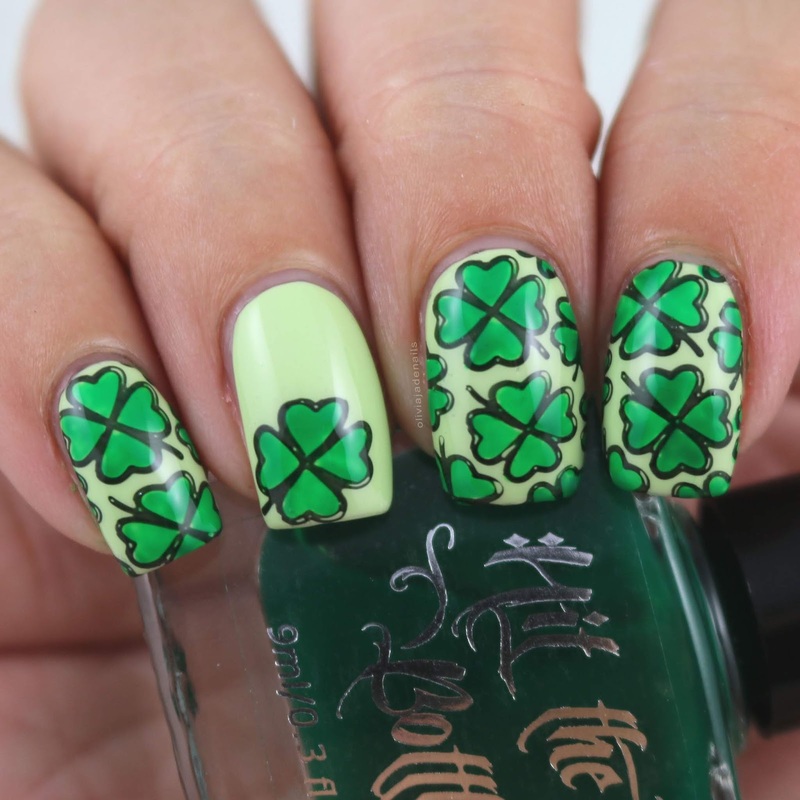 The St Patrick's Day 2 Mini Stamping Plate is available now from Uberchic Beauty.